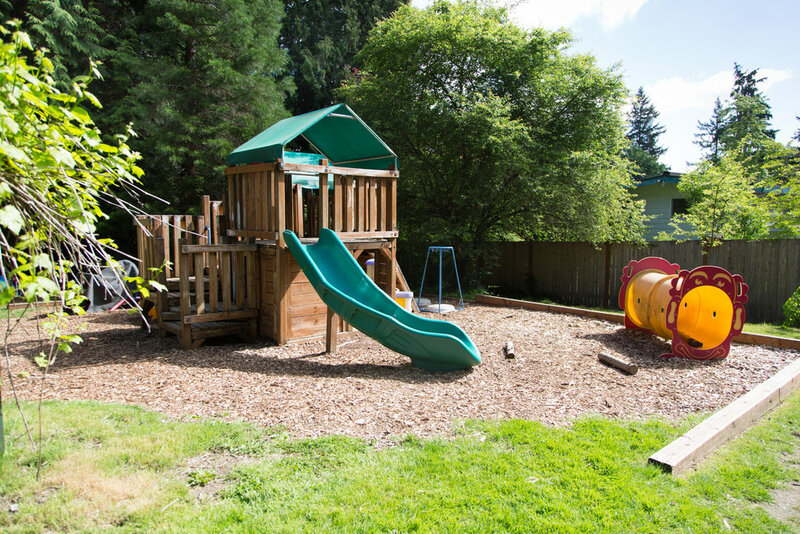 Bothell Family Cooperative Preschool is a unique preschool space set in a lovely two-story Bothell house. Formerly Lake Forest Park Cooperative Preschool, Bothell Family Cooperative Preschool opened its current location in Fall 2013. The current location was chosen in part for the 3/4 acre lot that provides an amazing outdoor exploration space for young adventurers. Within our fully fenced outdoor play area, you will find a hiding place inside our grapevine trellis, a mud pit (complete with a splash-tastic river on rainy days), a pine thicket with more than a dozen mature pine trees, a large wooden jungle gym, a sandbox, a shelter for the very rainy or cold days, a playhouse and more! As you step inside our beautiful building, you will find an environment that fosters the cognitive, phsyical, social-emotional, and language development of each student. 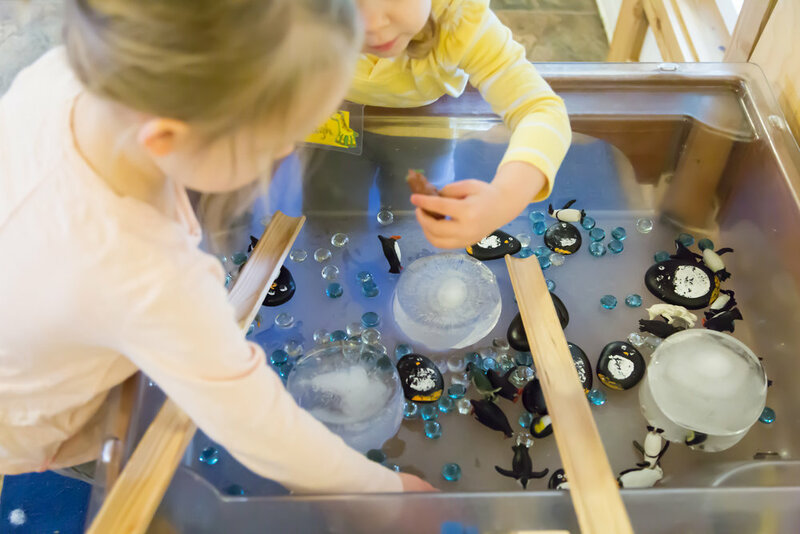 Through a play-based curriculum, parents and teachers come alongside children to grow their confidence, independence, resiliency, self-regulation, and cooperative play skills. 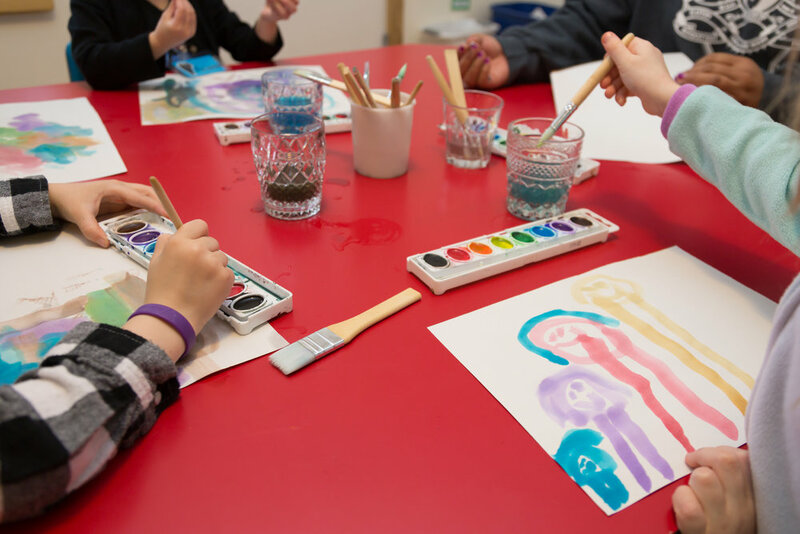 The Art Room is a sensory rich experience where children explore textures, colors, and materials to discover the process of creating art. 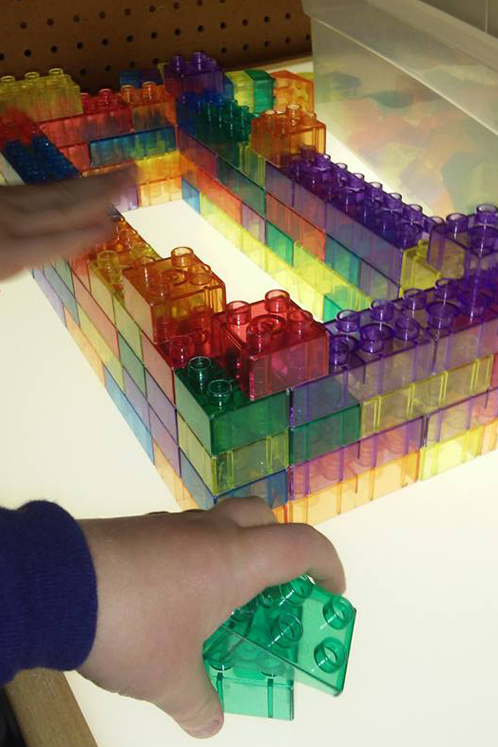 The Block Area provides an open-ended experience for young scientific minds to learn about patterns, measurement, spatial sense and physical science. Our Dramatic Play area inspires the imagination and creativity of the children to help them better understand the world around them. Our amazing curriculum team changes the theme monthly. 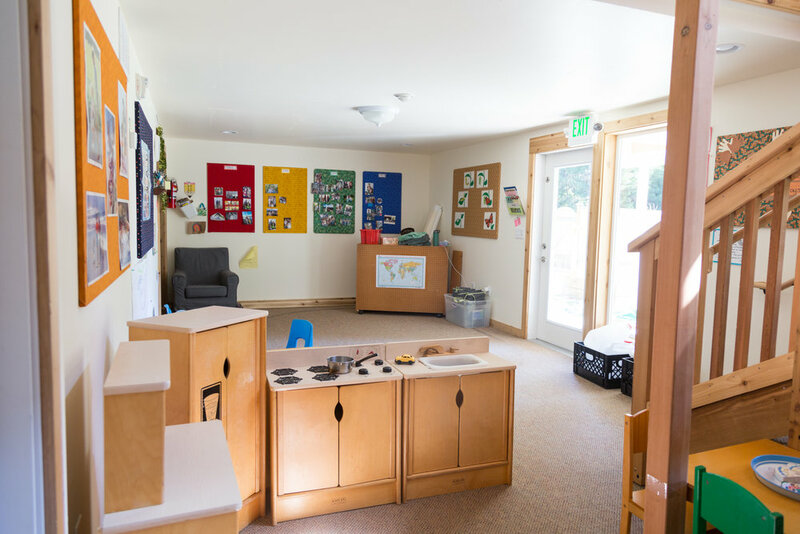 The Great Room is a large, light-filled space that engages all areas of development through activities such as blocks, puzzles, cars, trains, games, or reading with an adult. The Sensory and Science Areas inspire deep curiosity through engaging the children's senses to discover a sense of wonder and exploration. 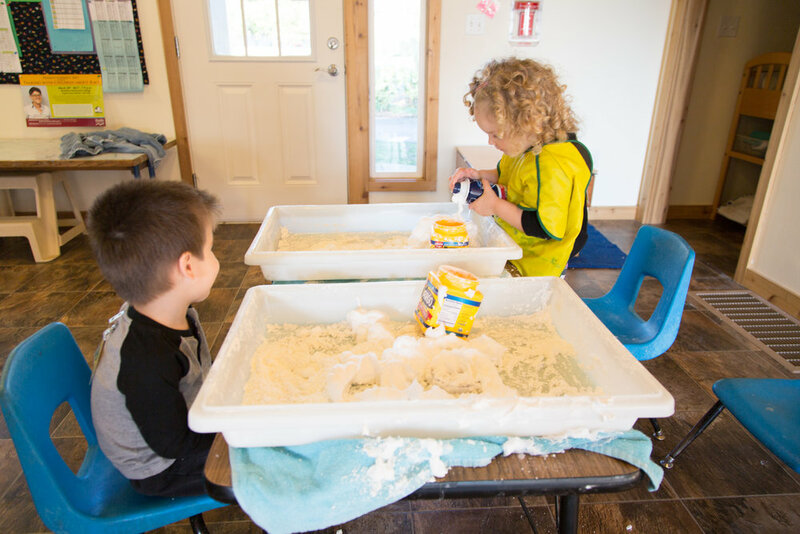 You will find various scents and textures of play dough, rice, water, beans, flax seed, and natural items from our own backyard. 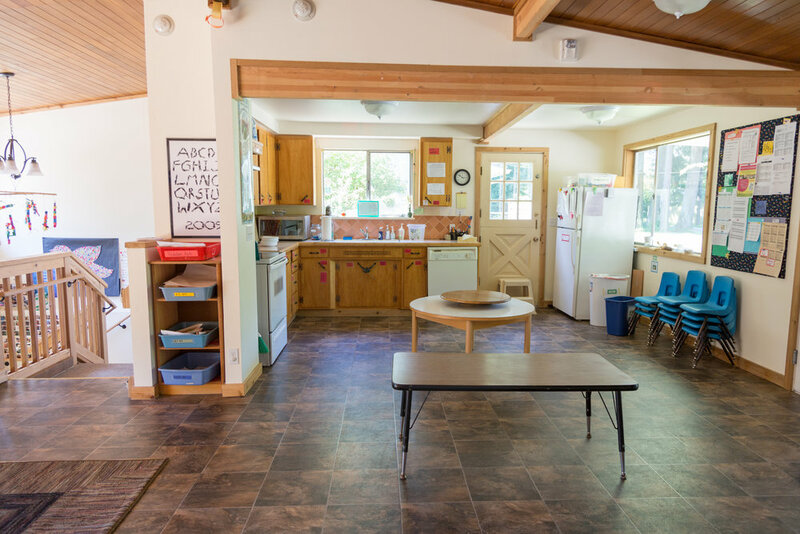 The Snack Area promotes self-regulation and independence as children learn to serve themselves, share a community snack, and clean up for themselves. Parents provide a healthy, nutritious, and age-appropriate snack. 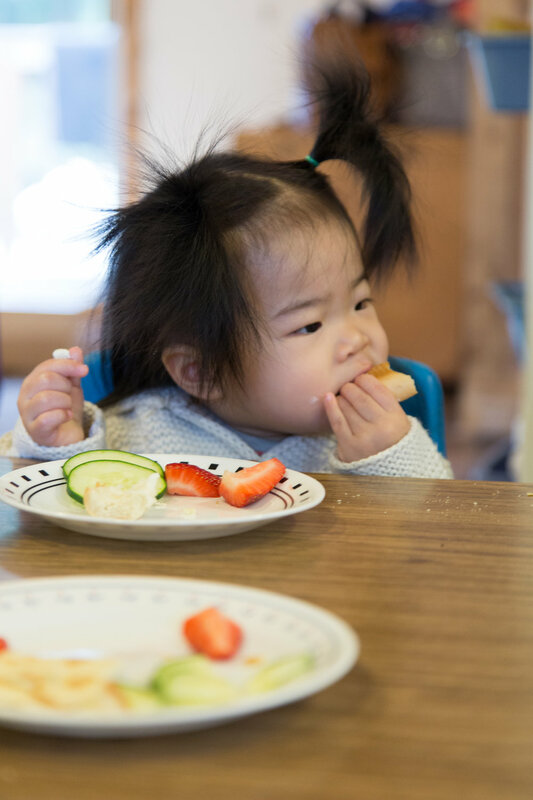 Most classes allow each child to decide if (or when) they are ready for a snack, with children taking the lead on serving themselves. Nestled into several corners of our school, there are cozy chairs for children to look at books, and process all that they see and have experienced. 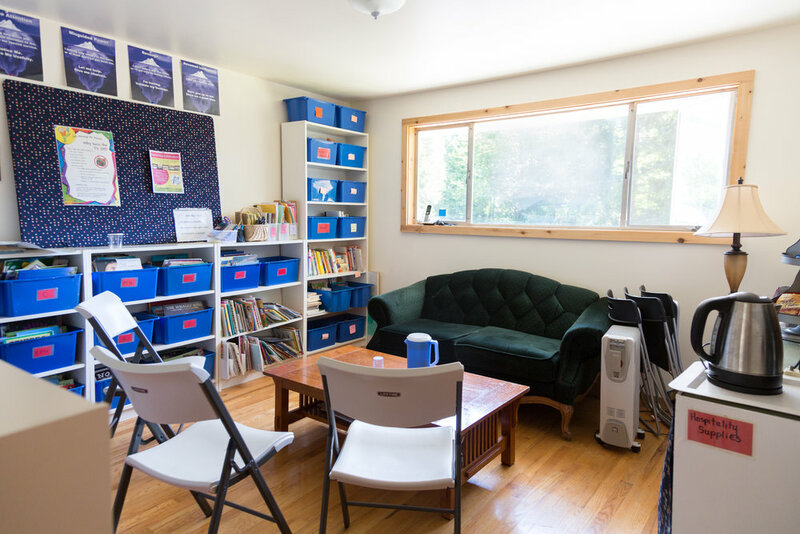 We also have a cozy Parent Education room where parents meet in small groups to discuss current research and gain necessary tools to be a successful parent. Lake Forest Park Cooperative Preschool was founded. Classes were held in a variety of empty store fronts in the Lake Forest Park Shopping Mall. The preschool often had to move every month as we were given whatever space was available. Shoreline Community College invites Lake Forest Park Cooperative Preschool to join their new parent education program. Our teachers gained the benefit of being state employees, while our members gained the benefits of being college students. Our preschool began renting a small converted garage across the street from the Town Center, with Parent Education held at Coco's (now Lake Forest Park Grill). Lake Forest Park Cooperative Preschool moved to a rental home in Kenmore, keeping the original name. With this move, we gained a yard for outdoor play and a space for parent education. 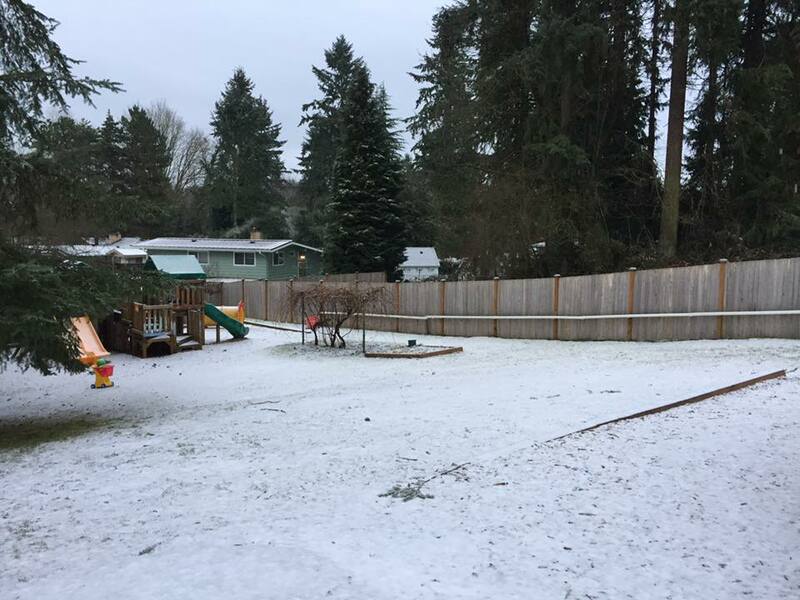 The owner's daughter of this rental home would enroll her child in the preschool about 30 years later. The preschool purchased the home it was housed in—a unique and outstanding accomplishment for a cooperative preschool! This was partially funded by an alumni of the preschool. Kathy Foster was hired to teach the 3/4 and Pre-K classes. She still teaches those classes, and is now currently also the preschool's co-director. A wind storm damaged the Kenmore house, revealing costly structural problems with the foundation. Immediate repairs were made, but more extensive, long term repairs were needed. A committee was formed to explore the preschool's options, including relocation and rebuilding. With the mortgage of the Kenmore house paid off, the preschool begins looking for a new building in the north-end community. The Building & Design committee discovers a beautiful home in Bothell with a fantastic outdoor space. The 2012-13 school year was completed in the Kenmore building and logistics to setup a new preschool in Bothell were in motion. In the summer of 2013, renovations began on the new preschool building. The Lake Forest Park Cooperative Preschool board elects to change our preschool name to match our new community—becoming Bothell Family Cooperative Preschool. Fall 2013 saw the opening of our new location with our new name. We continue to build upon the community-based roots established over the past 50+ years as we bring quality early childhood education and parenting support to the north end, while creating deeper family connections in our new home. We can't wait to see what the next 50 years will bring!